Hopefully, my editor is looking for a book on Ana Ivanovic. 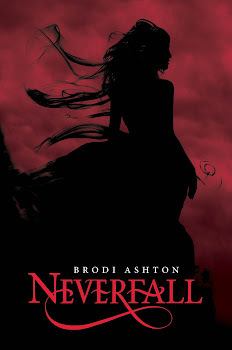 Sadly, I have no editor...and because of that, no book. "Stick with it! 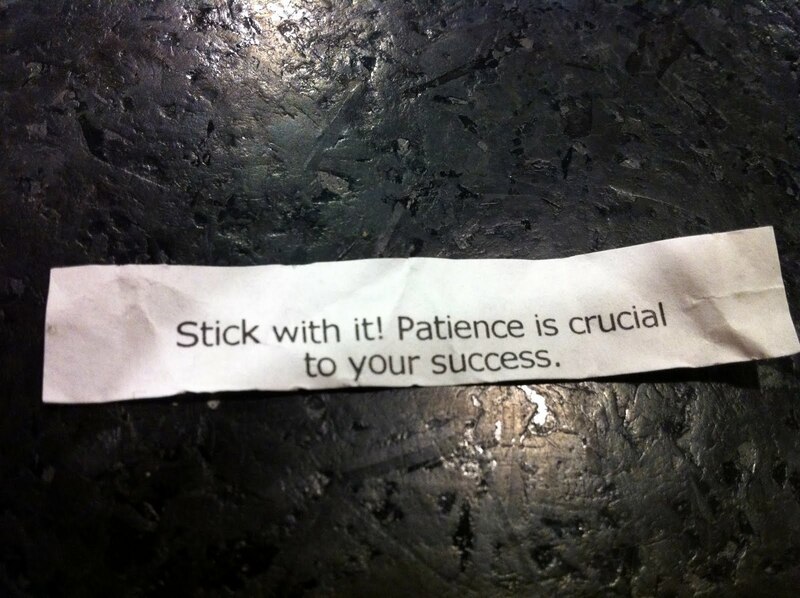 Patience is crucial to your success in bed." 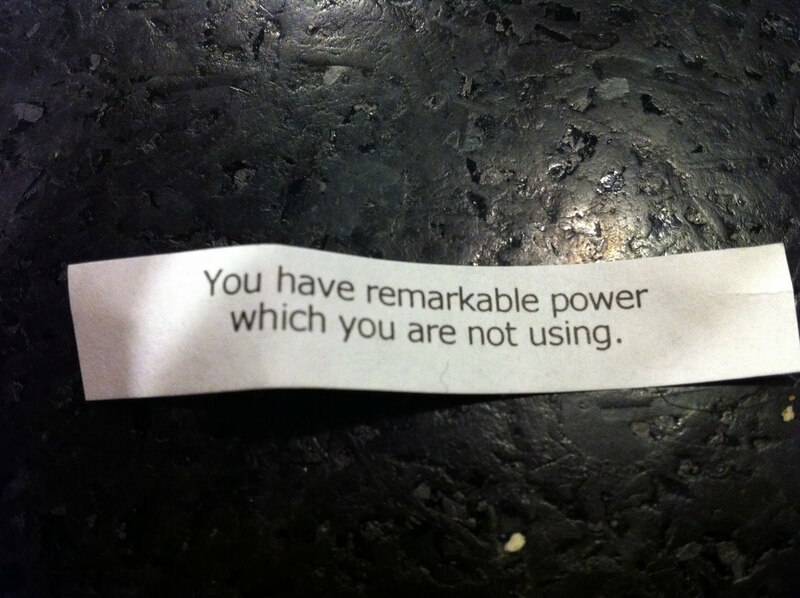 "You have remarkable power which you are not using in bed." 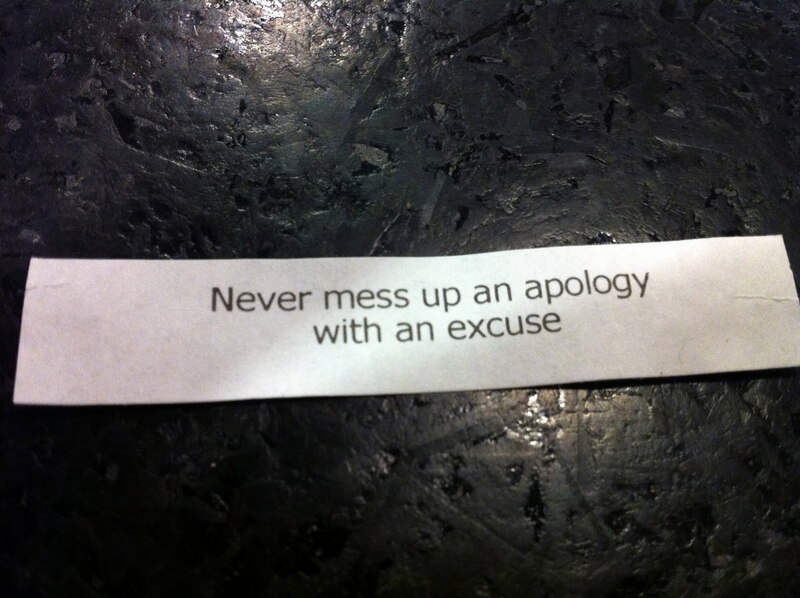 "Never mess up an apology with an excuse in bed." Those are the most pessimistic fortune cookies I've ever read! Thank goodness for your editor. 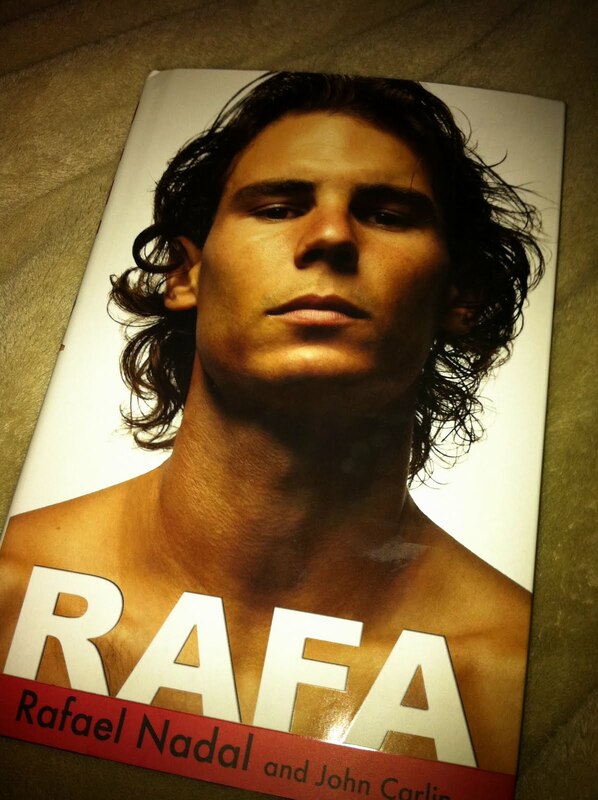 I thought I was the only one who wanted his autobiography. My dad keeps telling me it a sign that he is on his way out, but I refuse to believe that. I hope you let us know what you think of it. Those are some funky fortunes, all right. I can't remember any of the actual fortunes I've received, but if I were to get one today, it would probably be something along the lines of "Remember: things can always get worse... DUCK!" Sam- Sounds like you stole those quotes right from your pep talks to me! Jenni- See, I don't think even adding "in bed" makes the fortunes good. Who wants apologies and excuses in bed? Jenny- She is a life saver. Robin- Excellent fortune. It would totally fit in at that restaurant. Fortune cookies are getting really weird. 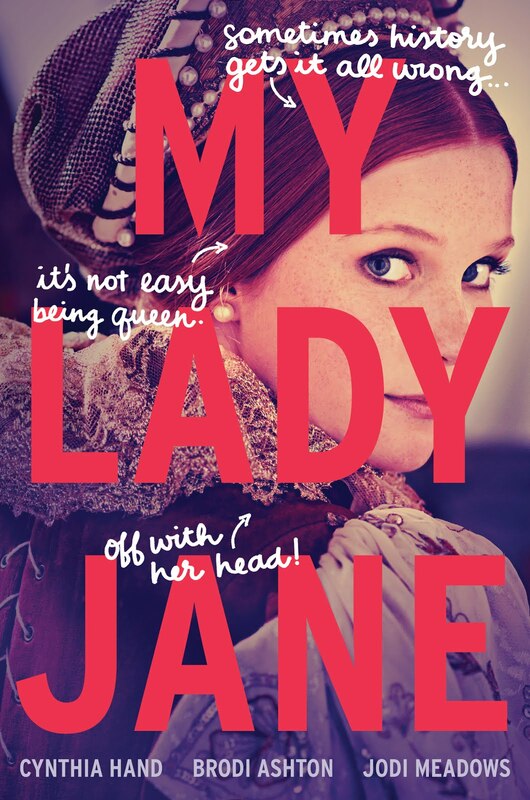 Book Queen- You should get a refund! I once got one that said, "Your mentality is practical and alert." Um, yeah. My friend couldn't stop laughing for the longest time. No interesting or oddball fortunes to share. I'm still hunting for the one that says, "The numbers on the back of this fortune are guaranteed to when a jackpot." And actually do it. Alas, all I get are the uber Confuscious knockoffs. Donna- Now I see where I went wrong. I've been adding "in jail". Jenilyn- That doesn't even make sense! Or maybe my mentality is not alert enough to understand. Angela- I love those knockoffs. They're all, "Eating the seed of the watermelon will bring about the fortune of the pirate." Yeah, I guess reading the "in bed" in those fortunes really don't help. See what I get for trying to be optimistic? I still end up being horribly pessimistic. I give up. The night I made the decision that I wanted to stop practicing law, my boyfriend (now husband) and I got Chinese food and my fortune said, "You would make a great attorney." I started crying (I was really tired) while my boyfriend convulsed with laughter. Megan- That is so so SO funny! "Follow your dreams, except for that one where you're naked at work." 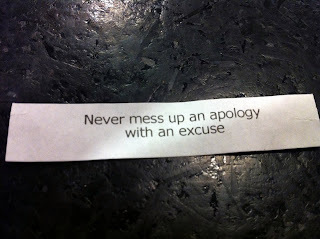 I used to keep my fortune cookie fortunes (well, the good ones). I probably still have a ziploc baggie somewhere with them. I often find them in random places, too, like my jewelry box or nightstand drawer. kmblacker- That is so awesome. Christina- Oh, Rafa. He breaks my heart. I think they panned to him because when you just lost the U.S. Open, you can take comfort in your defined muscles. I once got a fortune cookie that said "You will do better in real estate than in stocks"